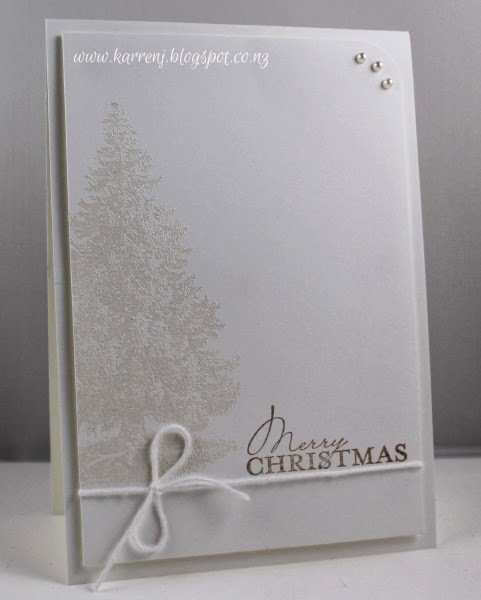 I love white on white embossing but it is so hard to capture its beauty in a photo. Love this, Karren! Beautiful! I love the white embossing and the pearls!! This is gorgeous, Karren! I love white embossing on white. It's so gorgeous! Very elegant CAS card Karren, the white on white embossing looks wonderful. This is stunning...I am surprised that the white embossing looks that fabulous on white cardstock. I am going to have to try this myself! Beautiful! Stunning! Might have to try this myself! Hi Karren. The white embossing has such a wonderful effect on the white cardstock. The tree itself is a fabulous image. A gorgeous, serene Christmas scene. Beautiful. 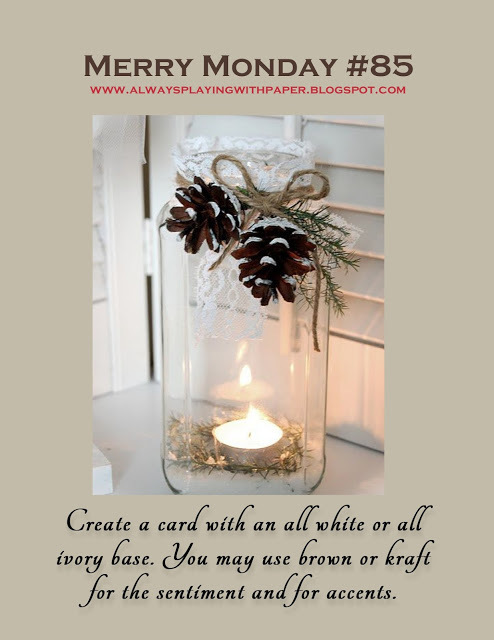 The white embossing on white looks fabulous. Beautiful Karren! Absolutely love the softness...very classy indeed. This is gorgeous! 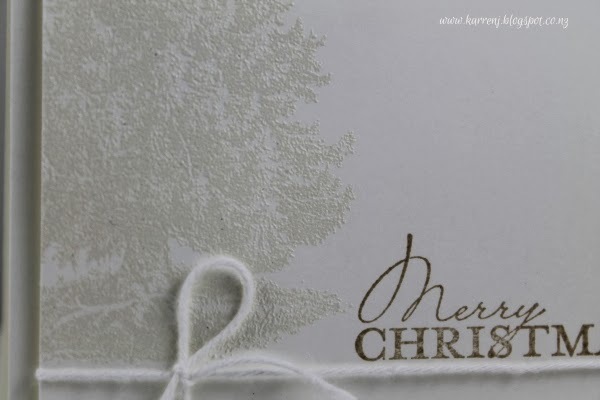 Love the simple design and the embossing! 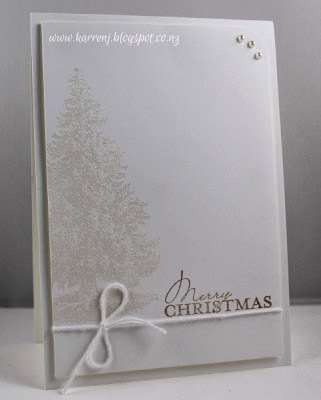 Gorgeous CAS card Karren, love the white embossing on white. So simple yet so very elegant, Karren! I love it!